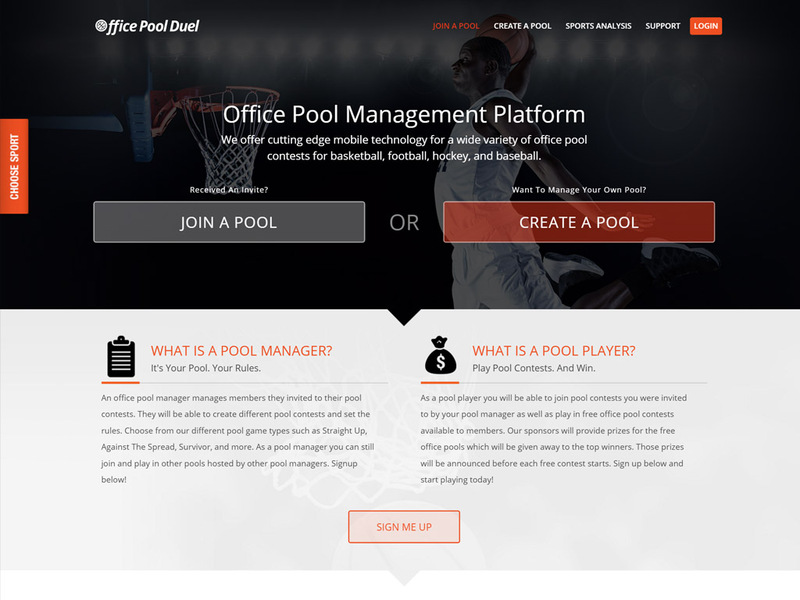 Office Pool Duel is a robust web and mobile application created for office pool managers to host their office pools online. The website was created for entertainment purposes and bragging rights while making it more efficient for office pool managers to host and invite their office pool players. The mobile responsive website was built on Laravel framework and the iOS and Android mobile application was built with Ionic Framework to offer a mobile app version in the Android and Apple stores. The custom website was built from scratch with a very complex set of project requirements for a long list of unique sport contests. We have implemented Mandrill for Transactional Email Service as well as Twilio for automated SMS Text messaging for reminders to pool players. The website and mobile applications took 10 weeks to develop from the ground up. The front end of the site is using the twitter bootstrap framework which provided a great responsive mobile first foundation for the website design. This web application was built completely from scratch starting with the custom design. Custom built web and mobile application using Laravel and Ionic Frameworks. Implemented Bootstrap for the Front-End responsive framework. Integrated Mandrill API for transactional email service and Twilio API for automated SMS services.